The Singapore Night Festival 2018, in its 11th edition since her maiden debut in 2008, an event that I have consistently visited all 11 editions till date (check out my Flickr collection – Singapore Night Festival). 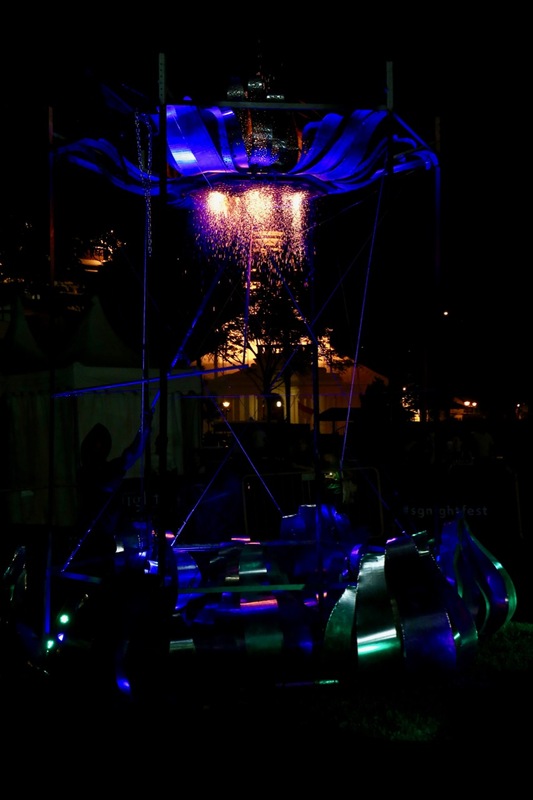 Singapore Night Festival 2018 took place from 17th to 25th August 2018 at the Bras Basah Bugis precinct. 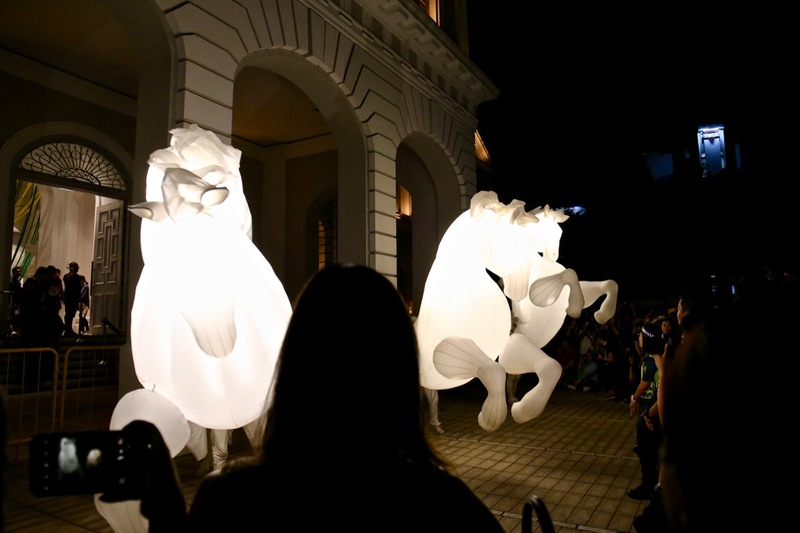 I visited Singapore Night Festival 2018 over a period of 4 nights, looking at the various Night Lights artworks on display and performances by different arts troupe. 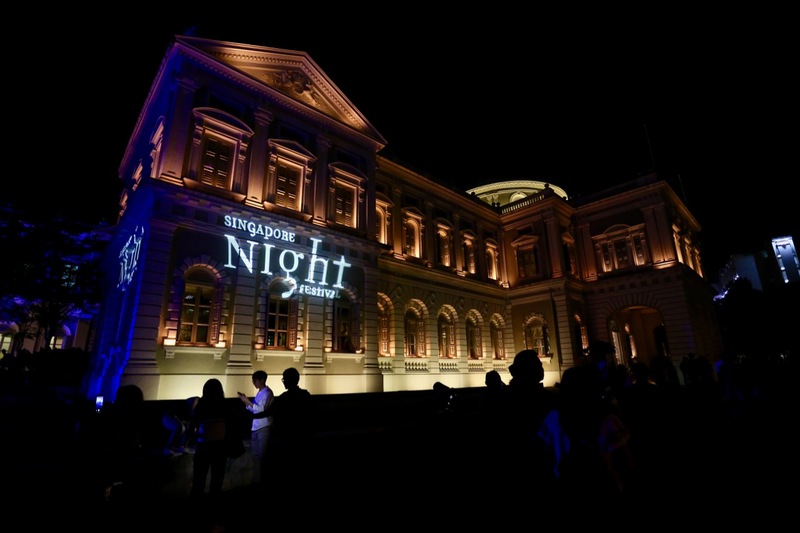 The style and direction for Singapore Night Festival 2018 had changed, there wasn’t a big international performance act to anchor the Singapore Night Festival like the previous 10 editions. 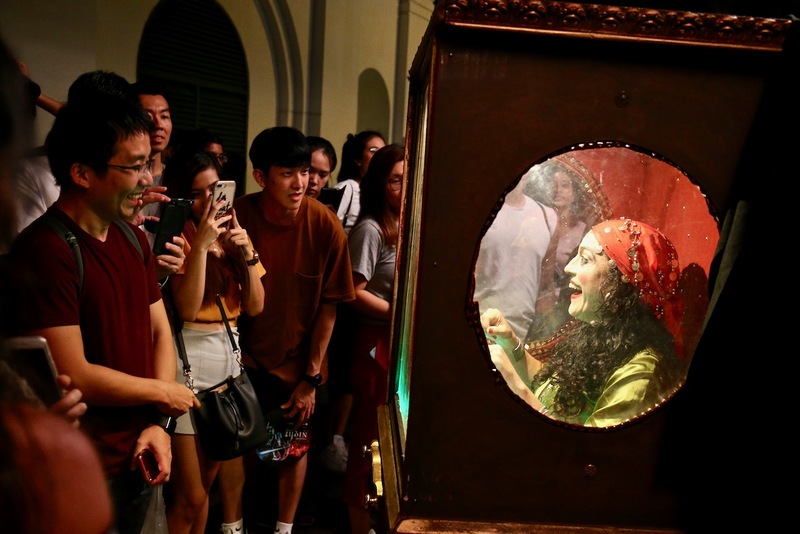 Nevertheless, the international artists that came to Singapore Night Festival 2018 gave us an interesting time too. 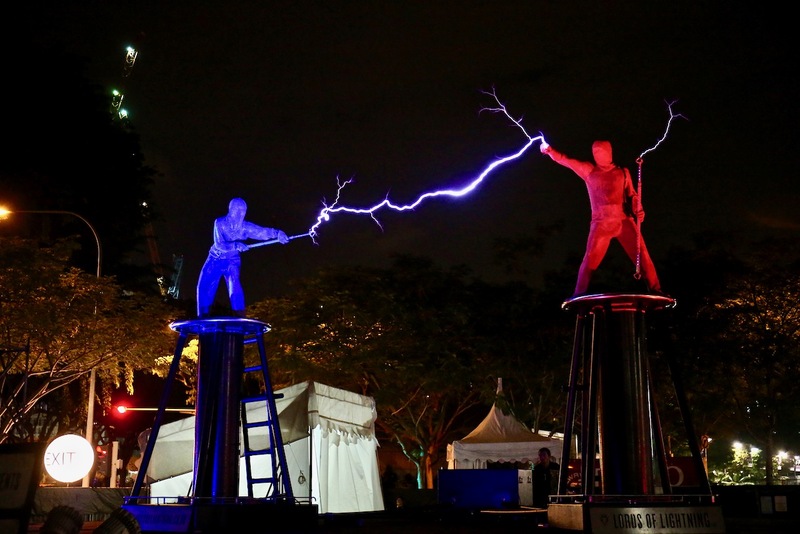 The Duel by Lords of Lightning (UK), Automatarium by David Berg and FierS à Cheval By Compagnie des Quidams (FR) gave the visitors to Singapore Night Festival 2018 some nice dazzling performances and memories. 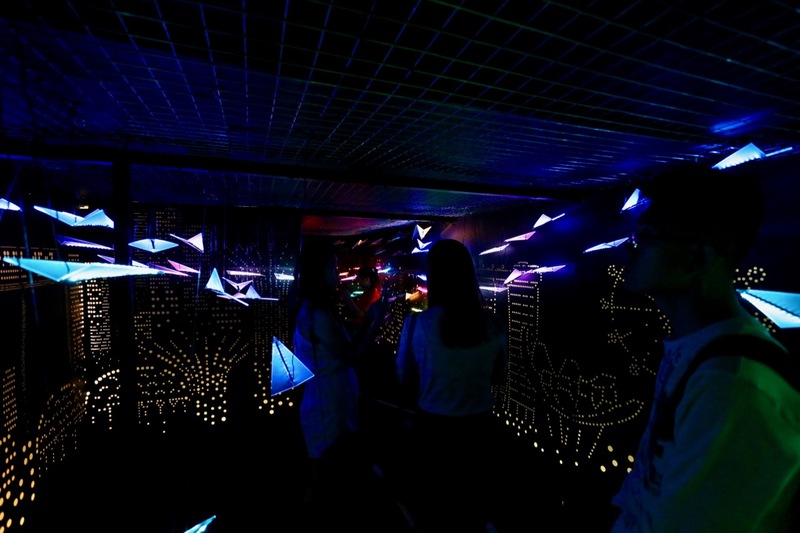 During a visit to this Night Lights 2018 artwork “The Leap of Faith”, the artist Kai Wei was present while I was immersing myself photographing this artwork in action by the visitors on his Night Lights artwork. This artwork “The Leap of Faith” resonates with me deeply, the theme behind it and the artwork interaction when I entered it! 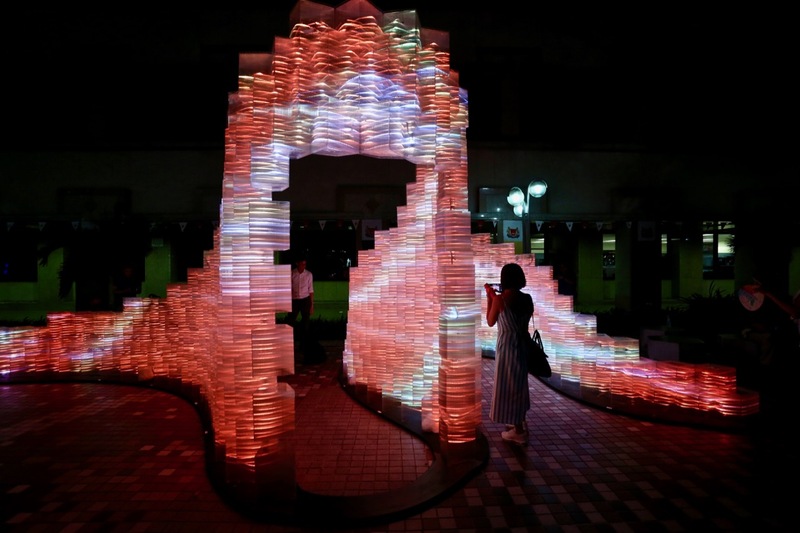 While at the “The Leap of Faith” Night Lights 2018 artwork, I had a great time chatting with Kai Wei, understanding more about his art, craft, inspiration and direction, we also had a chat on collaborating on potential multi-media artwork, his artwork and my photographs, let’s see how it turns out in the future! Check out my Instagram post on this artwork and my thoughts behind it! My Singapore Night Festival 2018 photographs can be viewed in this Flickr album, do visit them and take a look! My collection of Singapore Night Festival photographs can be viewed inside this Flickr collection! 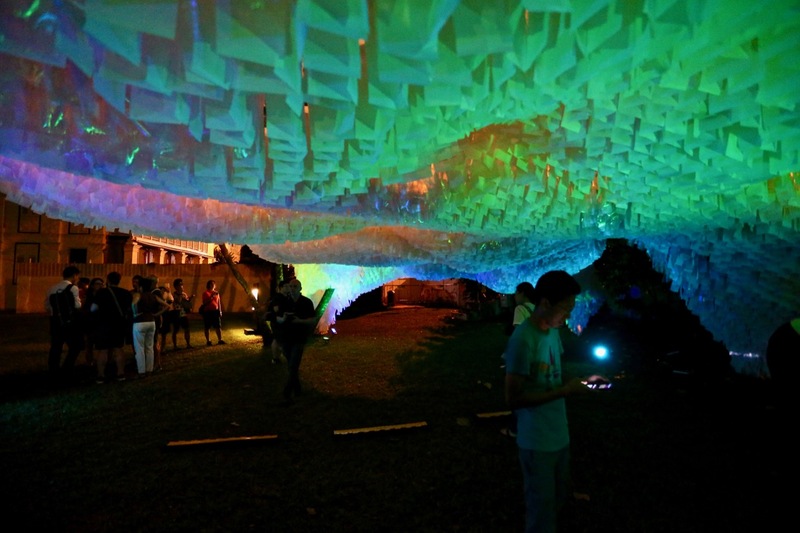 With the conclusion of the 11th edition of Singapore Night Festival, let’s see how the 12th edition of Singapore Night Festival in 2019 would turn out! 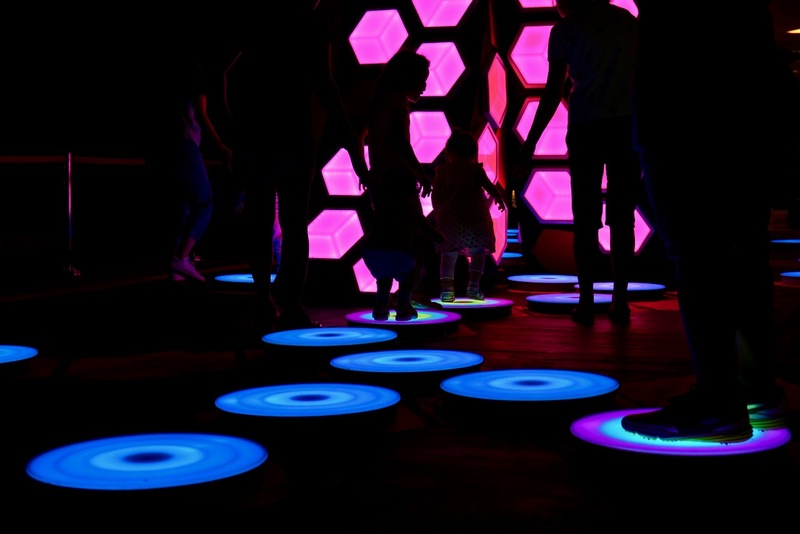 Last 2 nights (24 & 25 Aug) to catch SG Night Festival 2018 !